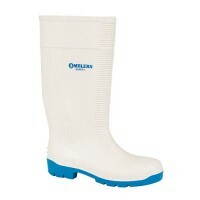 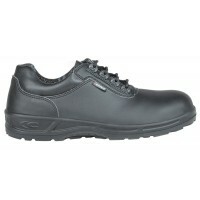 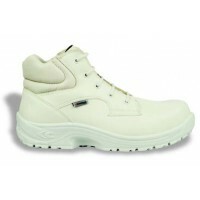 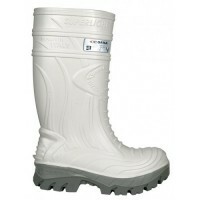 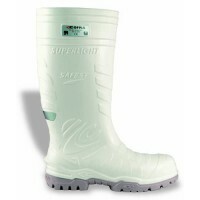 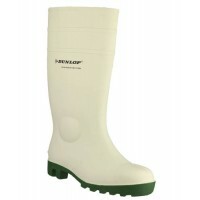 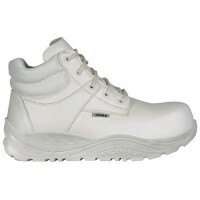 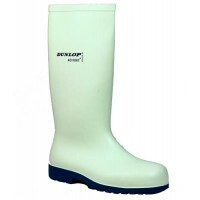 If you're looking for safety footwear for the food industry, we have a huge range for sale at Snickers Direct. 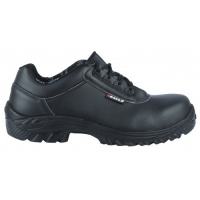 Each pair is equipped for the highest standards of safety and hygiene, perfect for work environments involving catering and food preparation. 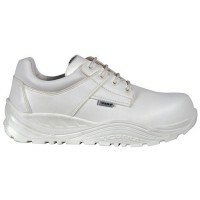 Amblers FS511 White Safety TrainersModel FS511 AmblersDescription of the FS511 Safety TrainersErgono..
Amblers FS512 White ClogsModel FS512 AmblersDescription of the FS512 White ClogsErgonomically design..
Amblers FS513 White Safety BootsModel FS513 AmblersDescription of the FS513 Safety BootsErgonomicall..
Amblers FS98 White Safety Wellington With Steel Toe Caps & Midsole ProtectionModel: FS98 Amblers.. 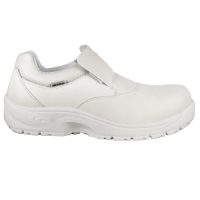 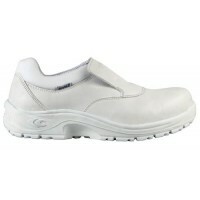 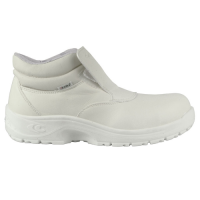 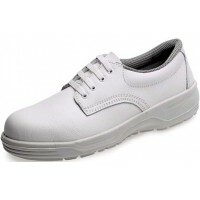 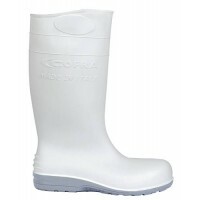 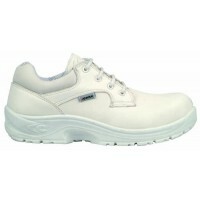 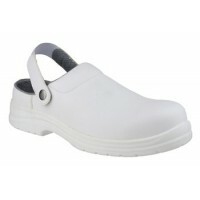 Catering Safety Shoes ABS221PR With Steel Toe Cap - Kitchen ShoesModel ABS ABS221PR Steel CapsABS221..
Cofra Ancus White Mens & Ladies Kitchen Shoes - Catering Safety Shoes S2 SRCModel: ANCUS Co..
Cofra Eclypse WellingtonModel: Cofra Eclypse S5 SRCDetails of the Cofra EclypseSTANDARD: EN ISO 2034..
Cofra Enea Safety ShoesModel: Enea S2 SRCDetails of the Cofra EneaSTANDARD: EN ISO 20345:2011UPPER: ..
Cofra Galaxy S5 SRC Wellingtons with Composite Toe Caps & Midsole Metal FreeModel: Cofra Eclypse..
Cofra Hata White Safety ShoesModel: Hata S3 CI SRCDescription of the Cofra Hata Chemical Resistant W..
Cofra Helium Black Safety ShoesModel: Hata S3 CI SRCDescription of the Cofra Helium&n..
Cofra Nerone Safety ShoeModel: Nerone S1 SRCDetails of the Cofra NeroneSTANDARD: EN ISO 20345:2011UP..
Cofra Numa White Boots Kitchen - Catering Safety Boots S2 SRCDescription: White water repellent Lori..
Cofra Okuden Safety ShoesModel: Okuden S3 CI SRCDetails of the Cofra OkudenSTANDARD: EN ISO 20345:20..
Cofra Pharm Black Safety Shoes Model: Cofra Pharm Black Description The Cofra Pharm Black..
Cofra Remus White Shoes Kitchen - Catering Safety Shoes S2 SRCDescription: White water repellent Lor..
Cofra Romulus White Boots Kitchen - Catering Safety Boots S2 SRCDescription: White water repellent L..
Cofra Safest White Food Industry Wellington Boots With Composite Toe Caps & Midsole Metal Free S..
Cofra Shintai Safety BootsModel: Shintai S3 CI SRCDetails of the Cofra ShintaiSTANDARD: EN ISO 20345..
Cofra Stige Bis Safety ShoesModel: Stige Bis S2 SRCDetails of the Stige BisSTANDARD: EN ISO 20345:20..
Cofra Talos Safety ShoesModel: Cofra Talos O2 SRC FODetails of the Cofra TalosSTANDARD: EN ISO 20347..
Cofra Tarquinus White Riggers Kitchen - Catering Safety Riggers S2 SRCDescription: White water repel..
Cofra Thermic Wellingtons With Composite Toe Caps & Midsole Metal Free Safety WellingtonsModel: ..
Cofra Titus Safety ShoeModel: Titus S2 SRCDetails of the Cofra TitusSTANDARD: EN ISO 20345:2011UPPER..
Cofra Tokui Safety ShoesModel: Tokui S3 CI SRCDetails of the Cofra TokuiSTANDARD: EN ISO 20345:2011U..
Cofra Tullus White Shoes Kitchen - Catering Safety Shoes S2 SRCDescription: White water repellent Lo..
Cofra Ulisse Safety BootModel: Ulisse S2 SRCDetails of the Cofra UlisseSTANDARD: EN ISO 20345:2011UP..
Dunlop 1800 Protomastor White Wellingtons With steel Toe Caps & MidsoleModel: Dunlop 1800 Protom..
Dunlop Acifort Classic Wellingtons A681331 With steel Toe Caps Model: A681331 Acifort Classic Dunlop..